"Countertops and cutting boards will likely take a beating over the holidays. These butcher blocks have the chops to perform under pressure." We Are An Official Glastender Dealer! Steven Cabinets is an official Glastender dealer! Glastender, Inc. is a Michigan-based commercial bar and home cocktail station manufacturer. They manufacture cocktail stations, sinks, stainless steel countertops, and more. You can see their full line and learn more at www.glastenderhome.com. 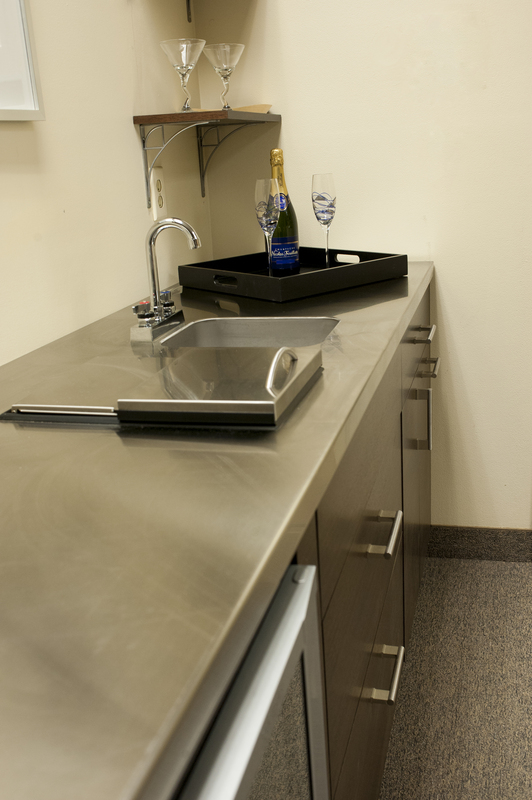 As a dealer, we are able to provide you with all of your stainless steel countertop/cocktail station needs and work them directly into your project.